Outdoor lovers and cinephiles unite! 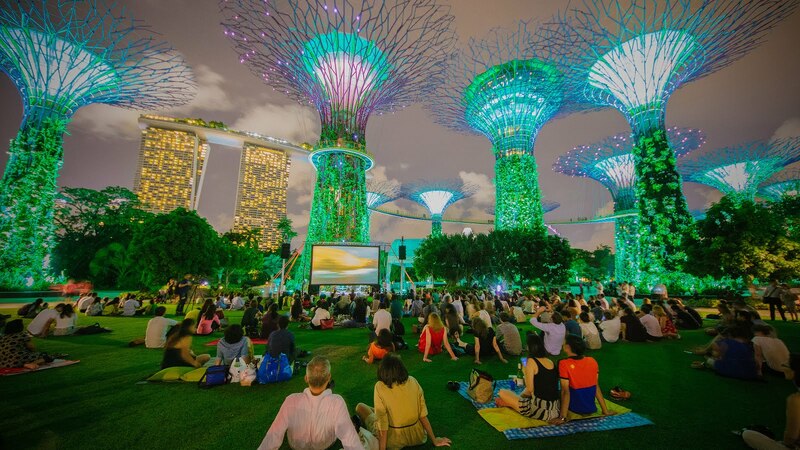 Forget about watching movies under the star-light, here is your chance to watch movies under the super-trees instead. In a first for the storied Singapore International Film Festival (SGIFF), Moonlight Cinema, a free public outdoor cinema series, has been announced in partnership with Gardens by the Bay. The inaugural series would include two screenings of coming-of-age romance films: My Girl by acclaimed commercial director Howard Zieff about a pre-teen hypochondriac's growing pains, and the similarly-named My Girl (แฟนฉัน, Fan Chan) made by a collective of six then up-and-coming filmmakers about a boy's reminiscence of his childhood sweetheart in 1980's Thailand that became a cult hit and blockbuster at the Thai box office. “We’re committed to an inclusive programme that is designed to allow cinema to be discovered by audiences of all ages," said Wahyuni Hadi, current Executive Director of SGIFF, "The Moonlight Cinema series is a new addition this year and serving as a platform for the Festival to encourage local audiences to expand their horizon to different types of cinema. We would love for the younger audiences to learn about the classic Thai box-office hit such as My Girl (Fan Chan) as way of getting to know more about Southeast Asian films." My Girl (the American one) would be screening on 26th October, and My Girl (the Thai one) would be screening on the 27th. Both screenings would start at 9pm and would end at around 11pm - audience members are encouraged to come early to secure a good seat. So, what are you waiting for? Time to mark your calendars and pop down in a couple of weeks for some good movies in the moonlight! Hungry for more information regarding SGIFF? Pop by their website for more updates, or stick by us for more coverage to come.